A handsome and reclusive horse breeder, Spencer Dumarque, the fourth Duke of Morland, has a reputation as the dashing ''Duke of Midnight.'' Each evening he selects one lady for a breathtaking midnight waltz. But none of the ladies of the ton catch his interest for long, until Lady Amelia d'Orsay tries her luck. 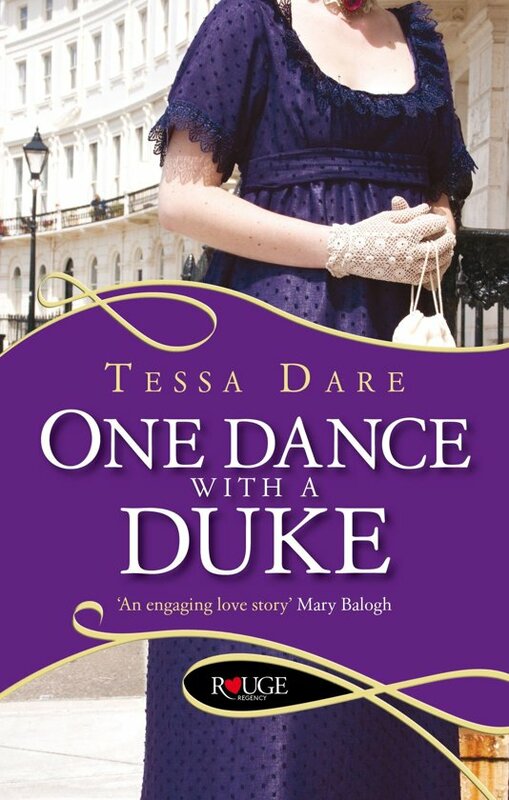 The first novel in Tessa Dare's delightful Stud Club trilogy. Other titles in this series are Twice Tempted by a Rogue and Three Nights with a Scoundrel.